Alex, a former Army Ranger, explains, “When you’re in the Army, the Ranger battalion, the absolute standard is to follow your superior without any question. If the specialist says, â€˜I need you to go into this room, there’s a guy with an AK-47, and kill him,’ you do it without thinking. “Our job is to hit buildings. Whenever you go into a structure, you’re constantly analyzing it. We would go to a Dairy Queen, and my superior, Specialist Sommer, would say, â€˜Well, how do you hit this place?’ When Specialist Sommer brought the bank up, it was a very intricate and detailed process over months. We cased the bank ahead of time. This was an exercise that I thought, oh, great, I have a superior who will take me out, and I get to learn my job that much better. He kept me in the dark for a good deal of things. He was very, very careful about his wording with me. So we referred to the money as the package, the bank robbery as a hit, he’s using military terminology. There were times in the whole process where, OK, something is fishy here, but at the same time, it was, OK, you’re questioning your superior. “At the time when it happened, there was definitely that tension that I was thinking about, something’s wrong here, but ultimately, my entire mindset was conflicted between there’s something wrong, but a tab would never tell me to do something wrong,” he says. “What’s a tab?” Dr. Zimbardo asks. “A tab is a guy who’s been to ranger school,” Alex explains. “These guys are revered by the privates. These guys are God. And I want to be everything I can to please him,” he says. “You want to be him,” Dr. Zimbardo says. “I want to be him, yeah. Exactly,” Alex says. 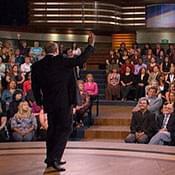 “You said it took you eight months to realize that this was actually a bank robbery?” Dr. Phil asks. “Yeah. When I went to prison, it was eight months before I was able to sit there by myself and finally say, â€˜I robbed a bank. We were part of a bank robbery,’ and get away from that Ranger mindset of â€˜This is who I am; we wouldn’t do anything wrong,'” Alex says. [AD]”Absolutely, yes,” Alex says. “When I pulled up, I still had that sense of comfort and there was this thought in me that said this isn’t going to happen, it’s just Specialist Sommer playing these Ranger games, doing what he always does, just to push it to the limit. And as soon as they got out, I locked eyes with this woman in a cherry red Dodge Durango, and right then and there, I saw how scared she was, and right then I said, â€˜Something is wrong here. '” Alex says he turned the car around and started to leave but then Specialist Sommer came out of the bank. “The first thing I thought when I saw him was, I just left my superior,” he says. Alex explains how Specialist Sommer tested his willingness to follow orders. 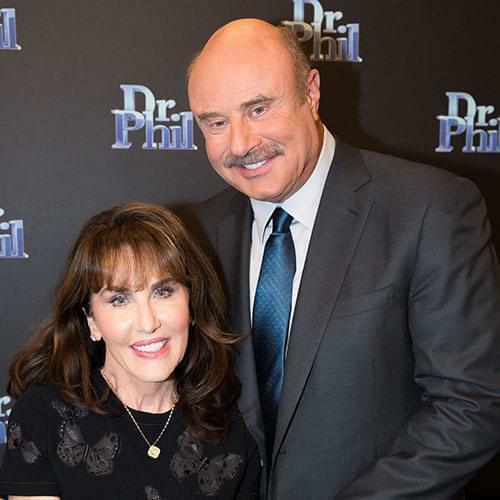 “You give him real props for manipulating you the way he did,” Dr. Phil says. “Yeah, he was very, very masterful at it,” Alex says. 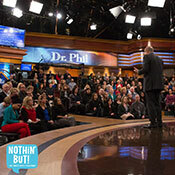 Dr. Phil turns to Alex’s father, Norm, in the audience. He was shocked at the difference he saw in his son after Ranger training. Amanda Lee is Alex’s lawyer. She contacted Dr. Zimbardo for help in Alex’s defense. “I had spoken to Alex many times and to members of his family, and what I kept hearing from family and friends was â€˜This just doesn’t make sense. This doesn’t fit. Nothing about Alex’s history would suggest that he would do that.’ And in my time with him when he was in custody, I could see he was going through enormous emotional turmoil trying to reconcile what he believed about the rangers and what he knew he had done,” she says. Alex was facing a mandatory minimum sentence of 30 years in prison. He spent 16 months in jail and had eight months of house arrest. Specialist Sommer was sentenced to 24 years in prison. [AD]”Are you proud of your Ranger training?” Dr. Phil asks.